Two charities at the forefront of providing support to the growing number of carers in West Yorkshire have joined forces. 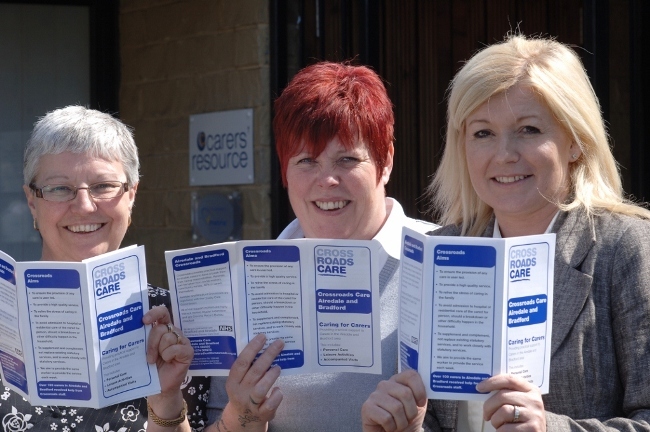 The Carers’ Resource and Crossroads Care Airedale and Bradford have pooled more than 40 years of expertise working at the heart of the community to look after the changing needs of carers. And, in a double boost, the merger has also seen the Carers’ Resource base in Shipley, Bradford, more than double in size after it acquired an empty neighbouring building. This has enabled it to welcome the team of 20 from Crossroads Care who have relocated from their outdated and cramped offices in nearby Windhill. The flagship new office boasts bigger and better facilities, bringing together all the staff and volunteers under one roof. It will provide a major focal point for carers across Bradford and Airedale needing to access a range of different services and support. Anne Smyth, Director of The Carers’ Resource, said the merger – the first in its 18-year history – was a perfect example of the adage that the whole is greater than the sum of its parts. “For many years, we have worked closely with Crossroads Care Airedale and Bradford to support carers – and their cared-for – across the District. “The Boards of both charities agreed it was a natural progression to pool our strengths in a more formal, and coordinated way. The merger will pave the way for an expansion of services; the sharing of costs to ensure every Pound of funding to frontline services go as far as possible; and the creation a stronger platform on which to share resources, best practice and innovation. For more than 25 years, Crossroads Care has been providing direct practical support to carers of adults across Airedale and Bradford. It is a service that provides respite, giving time to carers to improve their lives and take a break. “Pooling our expertise in this way ensures we can continue to deliver the highest quality care to people living across our community.